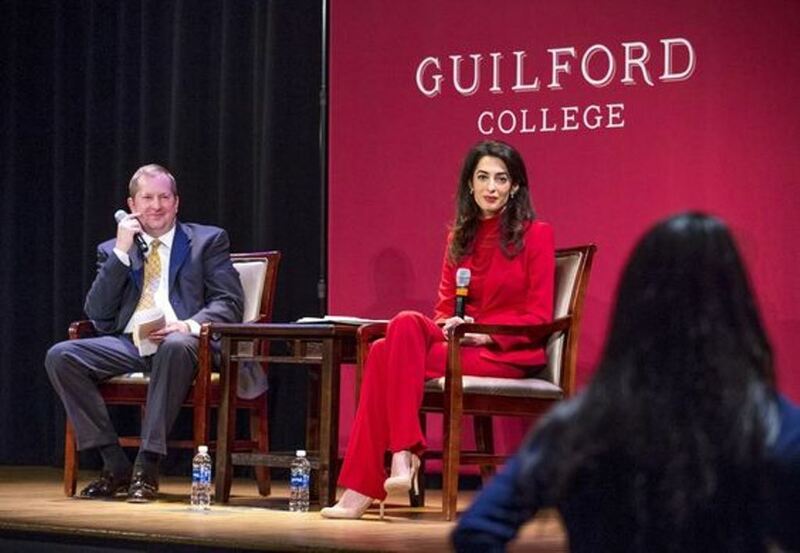 On November 13th Amal Clooney responds to questions from Guilford College students before her Bryan Series speech in Greensboro Coliseum Complex. 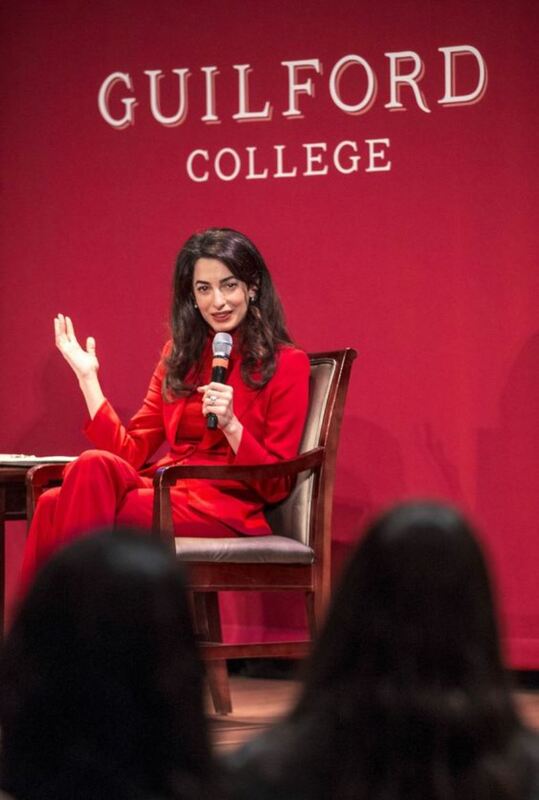 Amal Clooney chose to wear a GIORGIO ARMANI crimson red suit paired with a red high neck sweater. 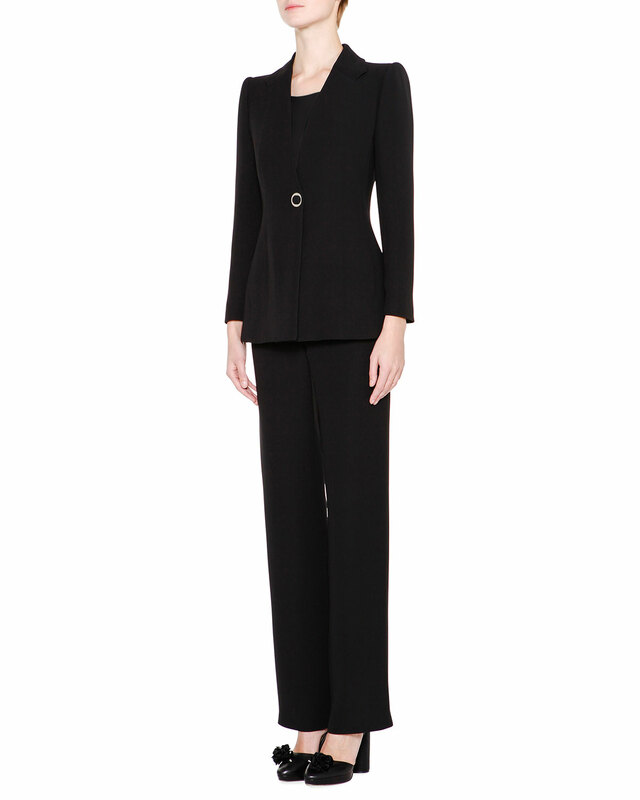 Very elegant and business-appropriate outfit. She looks terrific. 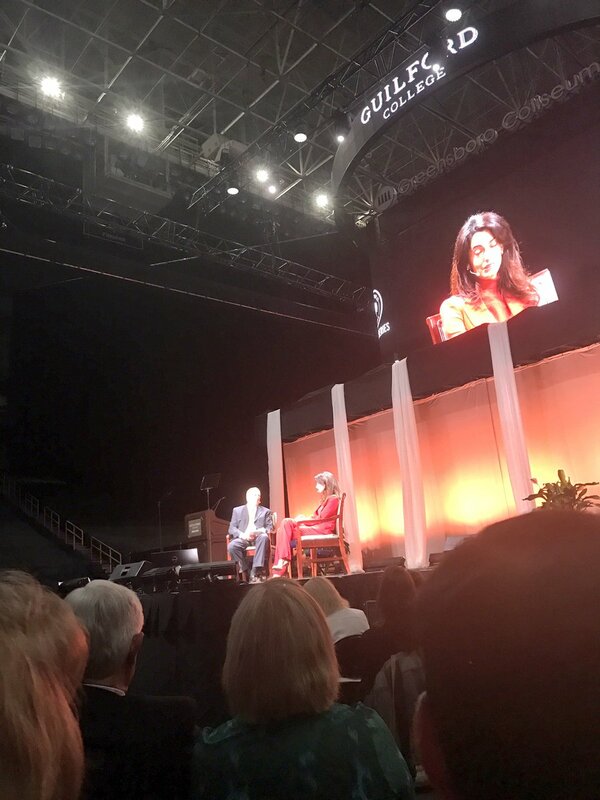 Wish we could hear her speech/presentation. Aleesandra: What does your comment mean? 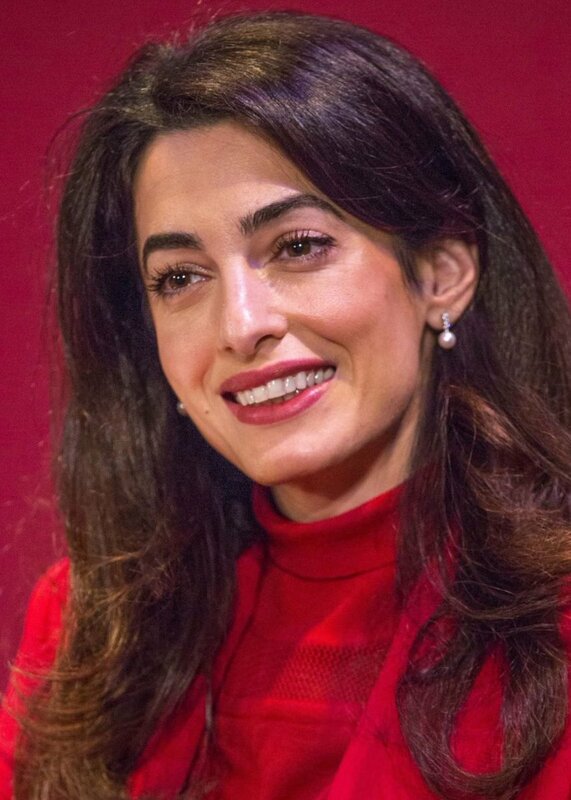 Beautiful photography captured of Amal. 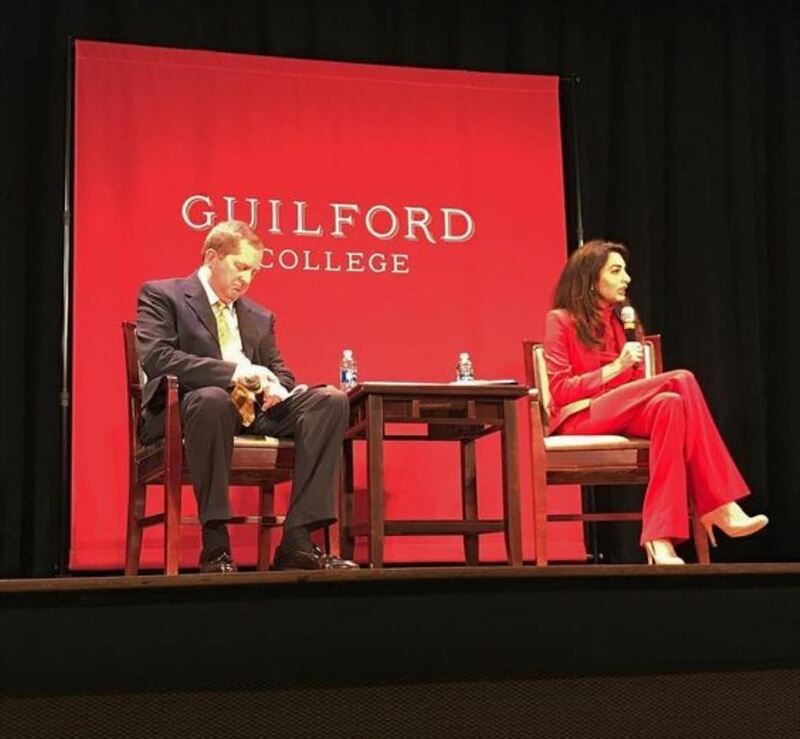 Very interesting…is there some type of “tour schedule” or “series schedule?” Or was this a special invite to Guilford College in Greensboro, North Carolina. I hope she does a book/city tour as a follow up to her book release. I bet she gives an interesting talk. George would never run for President thank god. He can do more with his celebrity and he knows it. George has a worthy cause in funding education for refugee Syrian kids in Lebanon. He began talking about a foundation in the early days of his marriage and two years have gone by. I am wondering why this process is taking so long. A director for the foundation was just recently appointed. There certainly was the advantage of having contacts in the Obama administration and that will no longer be the case. Why doesn’t George fund mobile classrooms asap? They could be transported back to Syria when these kids and their families are repatriated. These children are the future of Syria; they will be the law makers, physicians and teachers who rebuild and they need education in order to do so. 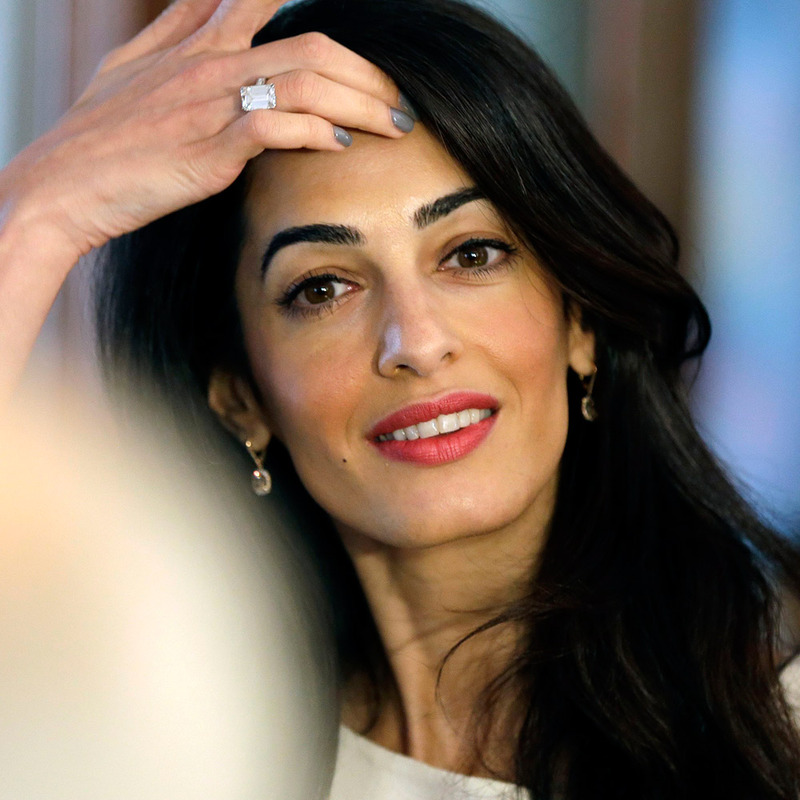 Amal being a citizen of Lebanon, who speaks Arabic and who understands the culture, could take a leading role in facilitating this project and I am wondering why there is no news about her involvement. 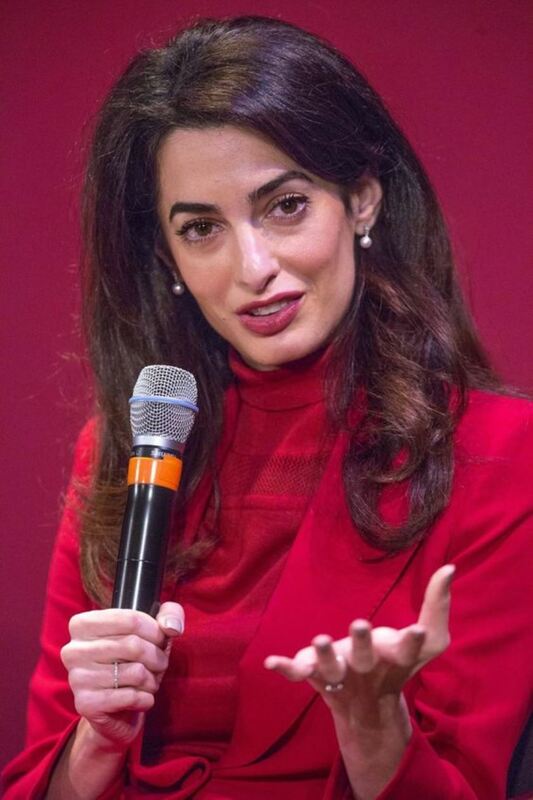 If she did take an active role, it would be a perfect segway for her to try for a governement position in the countries of which she is a citizen-:Lebanon and Great Britain. 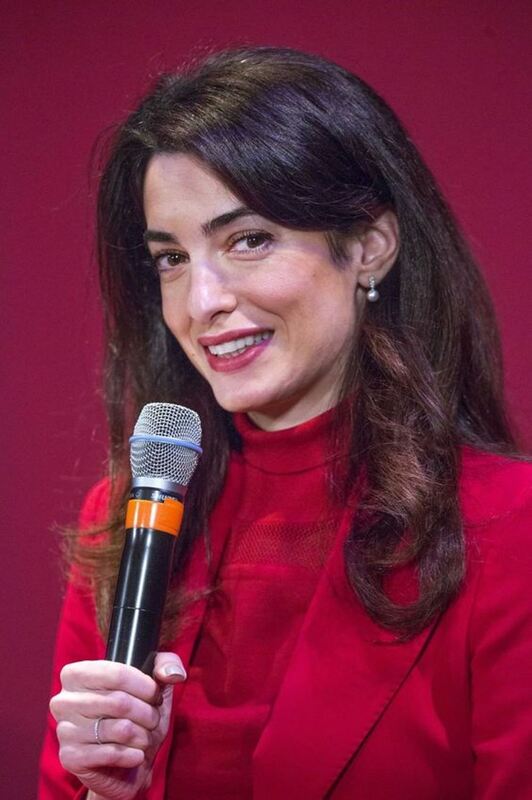 Amelie- I think you need to ask Amal these questions as she is the only one who could answer them. Or ask George the questions you have. A segway is a two-wheeled personal vehicle consisting of a platform for the feet mounted above an axle and an upright post surmounted by handles. @Jackson: you are crude and vulgar. Your comments are the lowest common denominator. Shame on you. @Nati: Please don’t allow such vile, juvenile and irrelevant comments like the ones Jackson makes. Its bullying in your sandbox. Ball is in your court. Good for her. 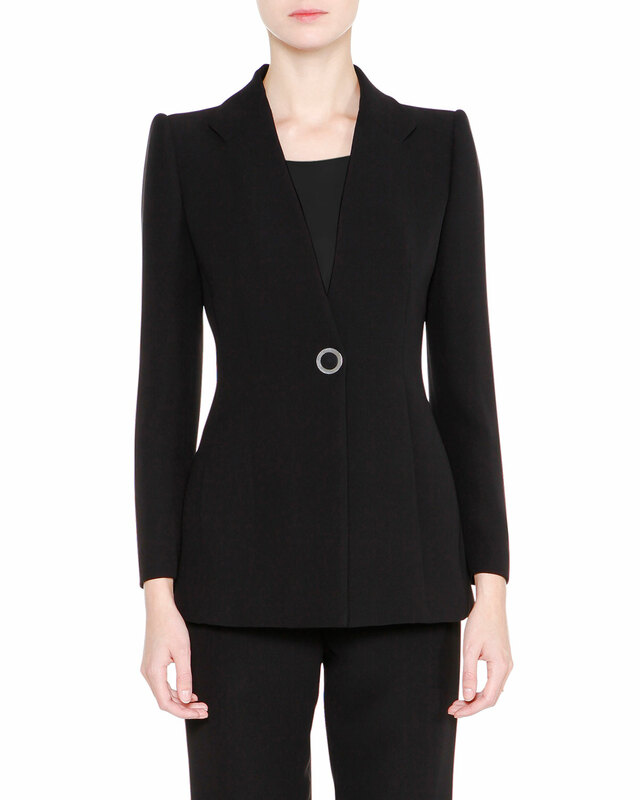 Next – Nice suit but not crazy about the mock turtleneck. Stunning. 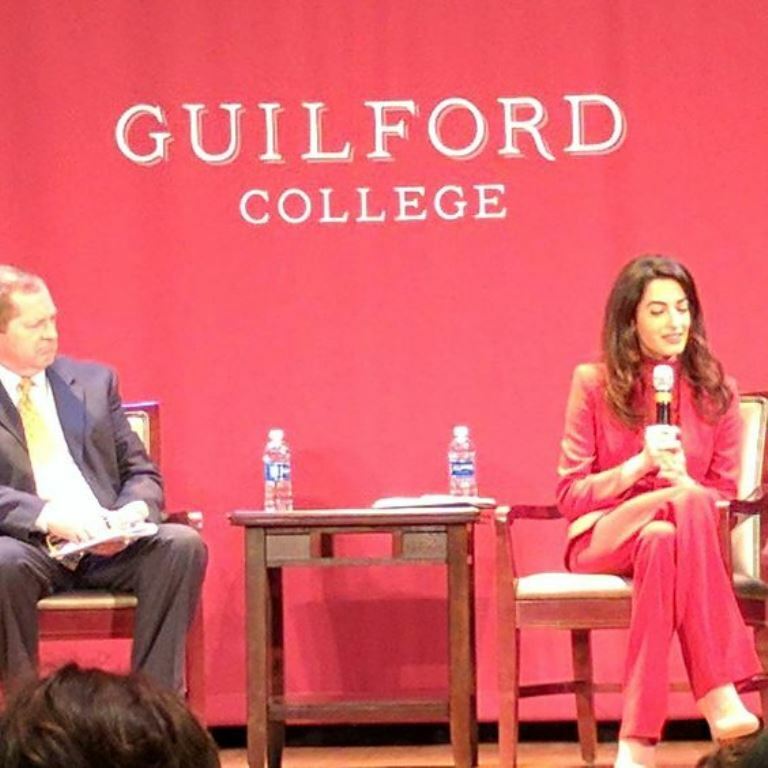 I really admire her courage in speaking at these events. I spoke to 200 people today myself and it was SO scary! 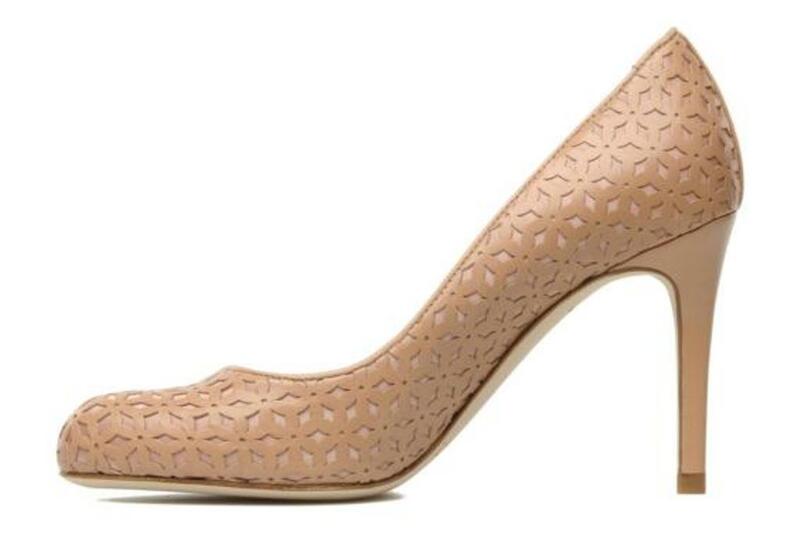 She is so elegant and refined here. 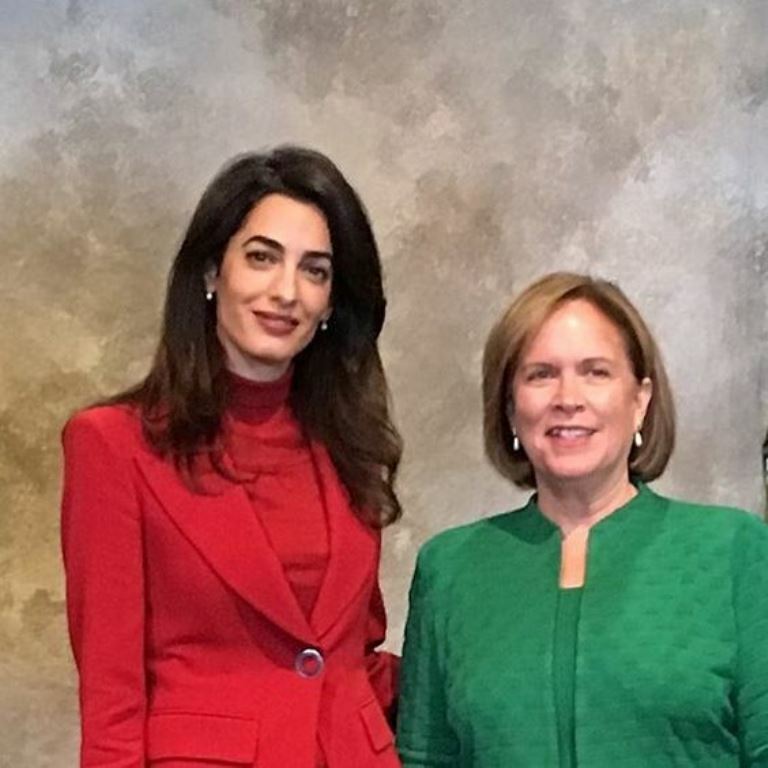 She does the red power suit effortlessly. Agee, it is definitely one of her best colors!